With T.I. 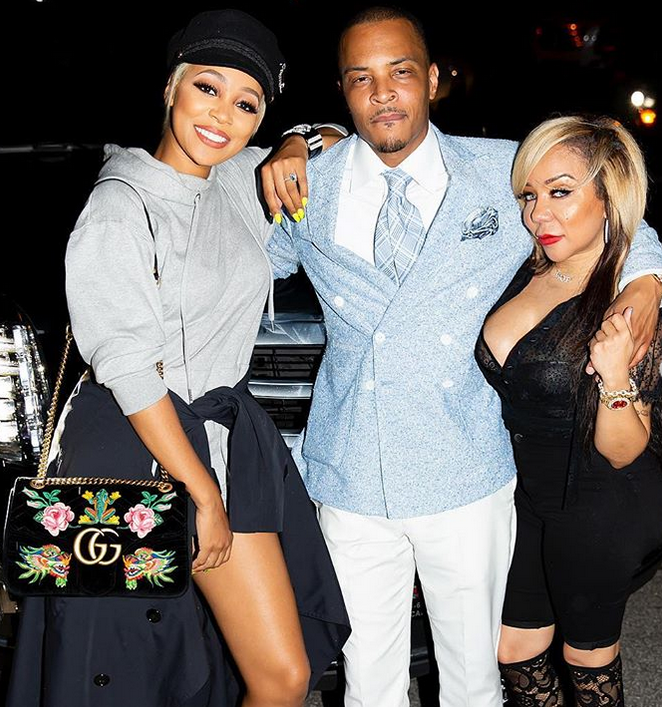 and Tiny Harris back together a new season of their hit reality TV series is on the horizon, but this time they're adding a few of their celeb friends in the mix. Their new series “T.I. & Tiny: Friends and Family Hustle” features Tip “T.I.” Harris and Tameka "Tiny" Harris along with their children Zonnique, Messiah, Domani, Deyjah, King, Major and Heiress. PLUS, they are bringing their ATL celebrity friends with them including Monica Brown, Antonia “Toya” Wright with her daughter Reginae Carter, and LeToya Luckett, and new husband Tommicus Walker). In the extended clip, fans will get to see what was going on behind-the-scenes as Tip continually made headlines for cheating and Tiny filing for divorce. The Harrises will address the cheating drama and share sweet moments with their family. Monica is looking to get back in the studio and she'll be sharing her journey on how she's going to balance work life, being a mom, and wife. We didn't see her hubby Shannon Brown in the teaser, and he's not in the promo press release, so it's unclear if he'll be appearing on the show. New mom-again Toya Wright is dealing with her mother, who is a recovered addict, and her teenage daughter Reginae Carter dating an older rapper named YFN Lucci. LeToya Luckett and her hubby Tommicus Walker are gearing up to welcome their new bundle of joy and letting us along the ride with them. We're here for it! 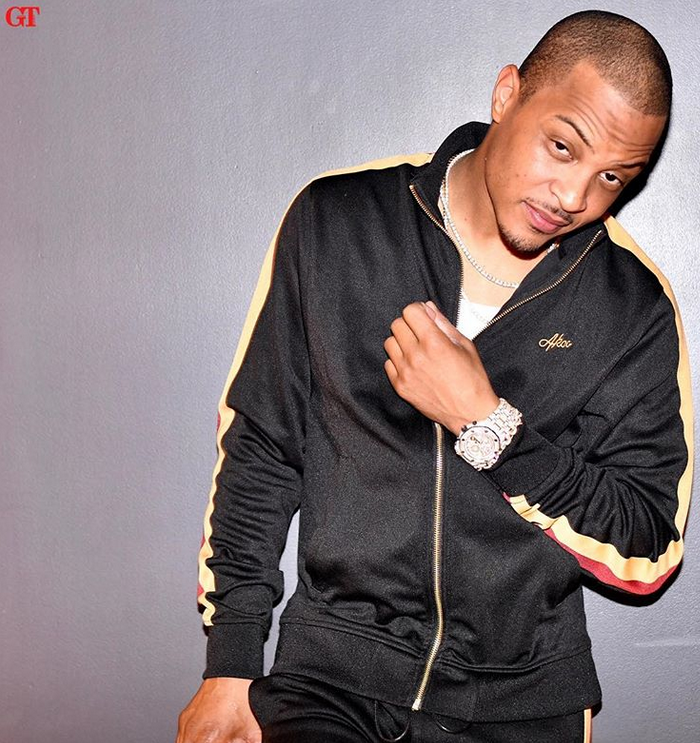 Tune in for the premiere of “T.I. & Tiny: Friends & Family Hustle" on Monday, October 22nd at 9PM ET/PT. Tip just caught a semi-break in that assault case he caught back in May after he got into it with a security guard. Prosecutors have reportedly dropped the assault charge he caught after they claim he made criminal threats towards the security guard who was watching the gated community Tiny lives in. The guard was reportedly sleeping when the rapper got there. He asked T.I. for some ID and when he didn't produce it, all hell broke loose. "You're making it worse for yourself, man ... You're gonna have to deal with me," allegedly told the security guard. Police saw that as a threat and arrested him for assault, but it didn't hold water. The Dime Trap rapper still reportedly faces three counts of misdemeanor disorderly conduct and one count of misdemeanor public drunkenness. PREVIOUS: So, Beyoncé Is The Most Politically Divisive Celebrity In America? Your Racism & Sexism Are Showing.